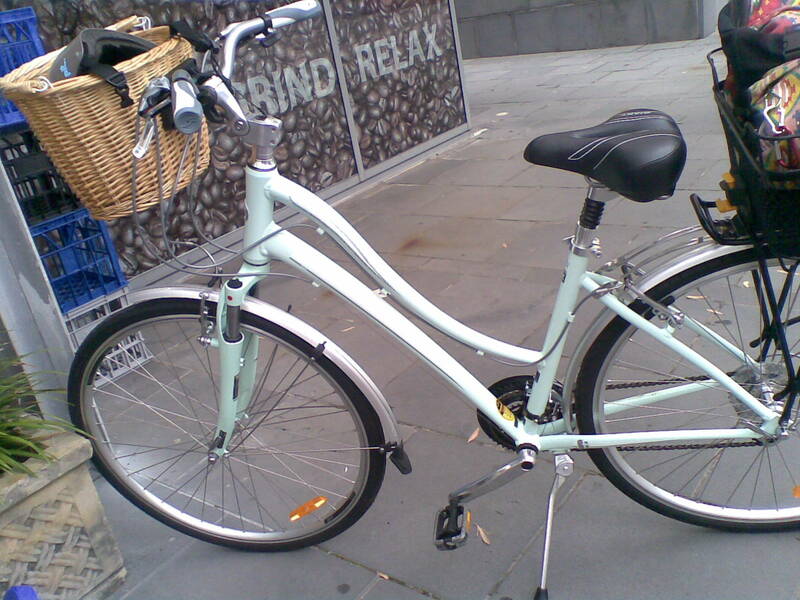 Its owner told me she had the mudguards, rack and basket added as extras and she uses it all the time, it is a later model than mine and very nice looking with its swoopy frame. 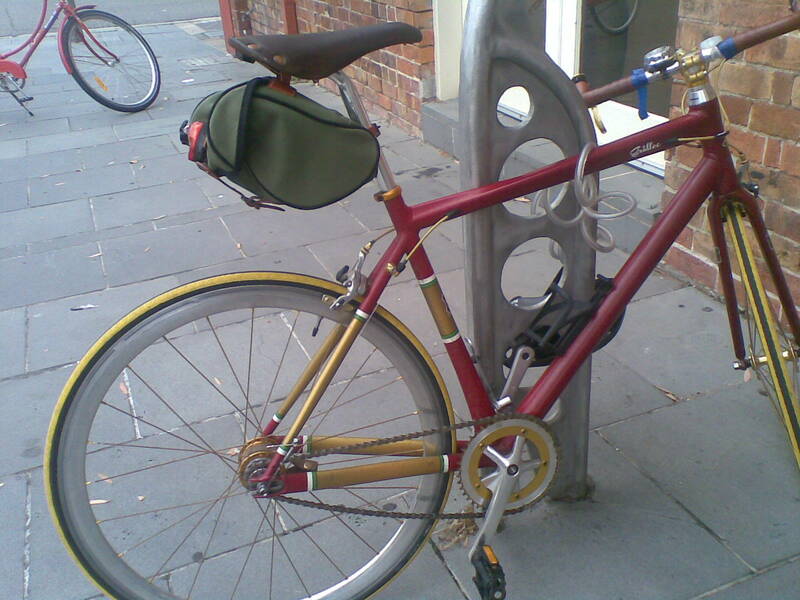 This entry was posted in accessories, bicycle culture, Newcastle and tagged bike racks, Giant, trendy bikes, unusual bikes. Bookmark the permalink. The unusual bell is of St. Christopher, keeping me safe where ever I go. Thanks for the extra info on it Stuart, it was an eye catcher, and great to meet you that day. I hope to see you around one day on the Raleigh you are working on.